Just two years removed from a division championship, the Stars will look to regain that status. 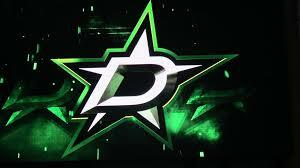 They have all the tools with the likes of Jamie Benn and Tyler Seguin leading the way, with improved defensive pairings and goaltending. With all the veterans, the Stars are built to win now, and have minimal room for prospects to come in and shine. It’s a stacked roster that might be on the its way to another divisional championship. It will be a tough season for Stars prospects that are looking to get a permanent role in Dallas due to the offseason movement. Bishop is presumably the gap to Jake Oettinger. Methot and third overall pick Miro Heiskanen will make it very difficult for Mattias Backman or any other bubble defensive prospect to get consistent time. Radulov and Hanzal will fill out the second line giving Matej Stransky a long route to Dallas. Perhaps the biggest acquisition, Ken Hitchcock, may have the biggest effect on the organization. It remains to be seen how Hitch will handle the roles of players and prospect development, and the inevitable injuries. It seems safe to assume Hitch will demand a larger focus on defensive responsibility amongst his prospects. They’ll need to learn to play defense to get the call. Julius Honka – Honka figures to be a top-six defenseman for the Stars this year, with great offensive potential. He proved last year that he can play in the league, and will likely earn a starting role. It’s being reported that the Stars are even entertaining the idea of putting Honka on the top power-play unit over Klingberg. This would be huge for fantasy owners that own Julius Honka. Denis Gurianov – One of the better performers in World Junior tournament last year was Gurianov. He played very well for Russia, tallying four goals and three assists. Gurianov played 57 games for the AHL Texas Stars last year, and provided 27 points. The Stars love this kid, and will be anxious to move him to the NHL. Roope Hintz – Hintz enjoyed his best season of his career last year while playing in Finland. Upon that success, the 20-year-old made the decision to sign an entry-level contract to play in the AHL in the upcoming campaign. A power forward that will fit with what Ken Hitchcock likes to do, Roope’s stock is trending in the right direction. Mattias Backman – Mattias was loaned to the Hershey Bears in March after a non-eventful season with the Texas Stars. At 24-years-old, and still struggling to find time in the NHL, and finding himself loaned to a different organization can’t feel good. Further, there just isn’t a lot of opportunities in front of him, as the Stars have multiple veterans ahead of him. Backman did have a breakout year two years ago, so he may find a spot, but it will be a tough road. Gemel Smith – The former fourth round draft pick played in 17 NHL games last year. His time was sporadic, and did little to separate himself. At 23-years-old, and in an organization that appears to be changing their team identity, Smith may be an AHL lifer. Landon Bow – The goaltending situation for the Texas Stars last year was a problem. Several goalies received a chance to own the net, and Landon might have been the best of the bunch, but that’s not lofty praise. Ben Bishop was signed in the offseason and Jake Oettinger is the prospect looming, so Landon is not likely in the future plans for the Dallas Stars.